I took the plunge on 3rd July 2009 to start up a blog....the idea was to write it to record life here at Sewing by Annie's [a bit like a diary] and along the way to put a few smiles on the faces of the folk who just might stumble on my blog. I still aim to record a little of what is going on here but I now have 169 followers and many of those drop in regularly to leave wonderful comments. Many of then I would now call friends although only a very few of them I have actually met in person. Back then I just had 800 or so customers that visited me for sewing alterations etc and now I have over 1090 and my sewing business has gone from strength to strength.....I love it. Towards the end of summer 2009 I found a very special blog called Stamping Ground...it was written by, 'The Queen of snoop', Julia and she had started up a group of crafting bloggers who on Wednesday every week were taking pictures of their crafting spaces and 'exposing all' on their blogs. I took the plunge and joined in the fun and have been completely hooked ever since. There are some really talented, creative people out there and the world seems a much smaller place to be. Early 2010 I joined a group started by the wonderful Fi over at MarmaladeRose. Fi encouraged us all to spend 20 minutes of our day crafting of some sort. It could be sewing, knitting, crocheting etc and, I know I spend my days sewing for work, I started also putting aside at least 20 minutes for creative crafting for fun. Of course there have been the odd days when I haven't managed it but mostly I still do at least 20 minutes every day and still love it. In Jan 2010 Twiglet [my much older sister :-) ] and I were encouraged to open up our blog shop and since then we have been given a lot of positive encouragement in filling the shelves with wonderful crafty creations [we have even sold some of it too :-) ]. I now have 2 wonderful little granddaughters and have another granddaughter and 2 grandsons on the way.....I feel very proud to say we are filling our little bit of the world with lovely young people. What a lot I have to celebrate. Please join me in raising a glass to the next 2 years. Thank you to all who call by here. Please leave me a comment if only to say hello. I enjoy reading your posts about your crafting and your family. Congratulations to you - you've had a fabulous run, and I look forward to reading about the great things you'll be accomplishing in the next 2 years as well! Congratulations! Here's to more to come! Congratulations ! here`s to many more years of happy blogging ! Oh, 2 bundles enroute. How blessed & joyful for you. Congrats on your anniversary ... bloggyville is wonderful. Life is what you make it and you have a lot of fun. Life is also too short to be miserable so carry on enjoying what makes you happy. Congrats on the two year blog-aversary. look to the future and those special deliveries you are awaiting. Yeay! Well done to you. I will raise a glass of something alcoholic later!! Hic! I'll drink to that!!! Happy blogaversary. Hugs Mrs A.
Showers curtain?...how the real gazebo curtains were hung was the inspiration..
Congrats on the two year blog-aversary. wishing you many more happy years of crafting and blogging! Love Your bookends and that brooch is lovely. I'll be raising my mug of tea to you in a short while! Congrats Annie on your 2nd blogaversary! Time sure does fly when you're having fun! Congrats on your blogiversary and I hope you continue to enjoy your online journey. 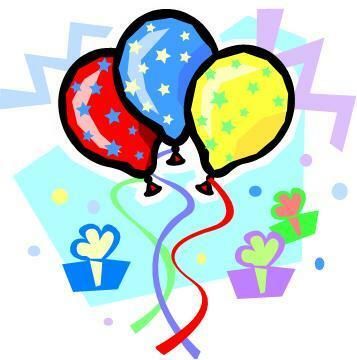 what a lovely post - i share in your celebration - Jul 3rd is my birthday - woo hoo! Congrats on your anniversary Wipso! You better watch what you say about your sissy though LOL! Can't wait to meet your newest Grand! You GD's are so sweet!